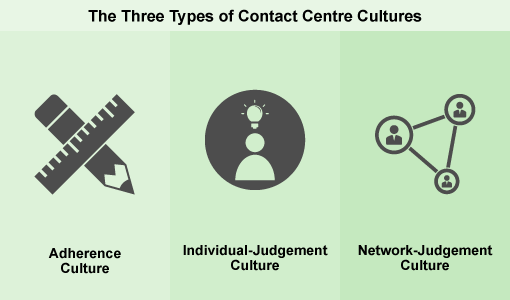 Here we examine the three major types of contact centre culture and ask: which works best in today’s modern world? 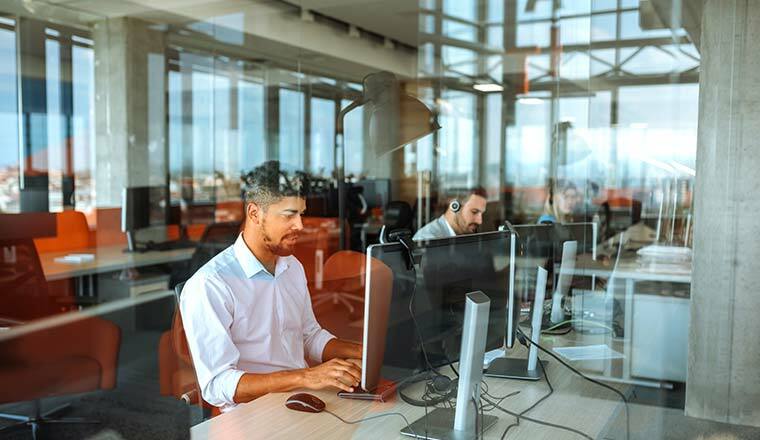 With organisations increasingly looking at self-service to reduce call volumes, the remaining calls to the contact centre are becoming more complicated. These now require an improved culture to go with them, according to Martin Hill-Wilson, Founder of Brainfood Extra. In an adherence culture, advisors rely primarily on company policies and procedures when making decisions. Martin summarises this as a climate where “advisors have been taught to imitate company rules”. This often results in advisors being discouraged from coming up with creative solutions for the customer and instead choosing to handle the call “by the book”. Management often reinforce this culture when they enforce strict rules on what an advisor can and can’t say, encouraging them to adhere strictly to the script. Another example would be a contact centre that bans advisors from using certain words, which would likely be enforcing a culture of adherence. Individual-judgement cultures involve advisors who rely on their own judgement and personal experience to help them make decisions. Martin says that many contact centres will find themselves in this bracket, if they have tried to do more to empower their team and trust their decision-making ability. A contact centre will likely have an individual-judgement culture if it has tried involving the team in big decisions, taken away scripting and/or actively encouraged advisors to go the extra mile. In a network-judgement culture, advisors rely on advice and guidance from colleagues to inform their own decisions. This culture can be promoted in training, through tools like the Johari Window, while a shared communication platform for the team can also do the trick, as long as it is managed efficiently. Which Culture Is the Most Typical? Interested to find out which culture is the most widespread throughout the contact centre community, we asked “Which type of culture are you?”, to 150+ industry professionals. The findings are highlighted below. These results are similar to those found in The Harvard Business Review, which highlight how most contact centres team rely on company protocol to make decisions in the interest of the customer. As Martin says, when the contact centre comes under pressure from other parts of the organisation to meet its targets, a hands-on, controlling approach is often preferred. However, if advisors become talking “robots”, having to follow a script exactly and being unable to make their own decisions, it often causes increased job repetition and is likely to have an negative impact on morale. Which Culture Is Most Effective From a Customer’s Point of View? According to The Harvard Business Review’s report, the network-judgement culture is the most effective culture in terms of its positive impact on team performance and customer happiness. In fact, a contact centre with this culture is up to 50% better than the other two culture types in terms of customer effort, customer satisfaction and productivity. Making reference to the original study, Martin notes how the network-judgement culture is thriving as advisors are beginning to handle more challenging call types, as self-service is dealing with the more basic transactions. It’s hard for contact centres with an adherence culture to provide the team with a scripted call-flow for such a great variety of call types. In addition, contact centres where an individual-judgement culture rules may find that advisors are offering very different solutions to customers with similar queries. This means that the customer service that the contact centre provides may vary greatly from advisor to advisor. So, as an adherence and individual-judgement culture have these flaws, network-judgement seems to be the best option in the modern-day contact centre. Considering the influence this culture type has on customer effort, customer satisfaction and productivity, it could be a good idea to run initiatives that support network-judgement decision making. Here are three such initiatives suggested by Martin Hill-Wilson to help the contact centre to do so. Coaching initiatives like the Johari Window are great ways of asking advisors to share their wisdom and customer success stories with the other members of the team. Also, peer-to-peer assessments are a good method of sharing advice. 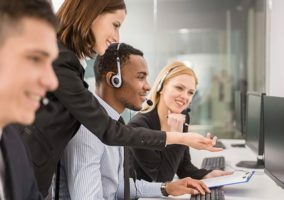 These can involve one advisor being in charge of scoring the rest of their team’s calls alongside the quality analyst to work out for themselves which call approaches/techniques are scored highest and result in the best reactions. This advisor would hold the position for a week, while somebody else from the team (which would ideally have 6-10 advisors) would take up the position the next week and so on. At the end of 6-10 weeks, the initial advisor would then take up the position again, so the initiative works on a rolling basis, meaning that advisors are constantly refreshing their approaches and skill sets. For a network-judgement culture to work, the team need to interact seamlessly, so including team-building activities in recruitment will allow the contact centre to determine which recruits have the right attitudes to fit this culture. Including team-building activities in recruitment will allow the contact centre to determine which recruits have the right attitudes to fit the network-judgement culture. DPD’s contact centre values advisor communication greatly and run these team-building activities during “recruitment days” as opposed to the typical interview process. These recruitment days offer recruits the opportunity to show advisors their future work environment, allowing the potential advisors to gauge if they fit into the contact centre’s culture. 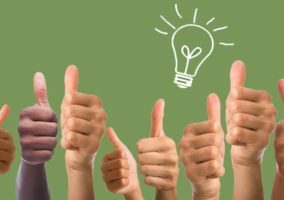 The type of culture is mostly defined by the enthusiasm of the team, so recruiting the right people is fundamental if knowledge sharing is going to be an activity in the contact centre. If an advisor has found that a technique that they are using when handling customer calls has been well received, it is vital that they have a platform to share this information. After all, successful knowledge sharing is the basis of a network-judgement culture. One way to do this is by creating a community page, like a Google community, so members of the team can talk to one another in a friendly way and share ideas (and achievements) with everyone from managers to advisors. However, there must be a conscious effort to keep this group thriving. Another idea could be to encourage advisors to come to managers and share their best call practices, or others they have found useful and then to display them around the contact centre. A PowerPoint presentation giving an overview of these tried and tested techniques shown on the contact centre wallboards might work nicely. For more tips like this, read our article: What Information Should You Be Displaying on Your Contact Centre Wallboards? Which type of contact centre are you? And do you see the value in migrating to a network-judgement culture?